Owning the Body-Solid Pro Dual Bicep/Tricep DBTC-SF encourages a very important aspect of strength training... motivation that will drive you to sculpt your body to its ultimate form. With the Body-Solid Pro Dual Bicep/Tricep DBTC-SF you'll have the tools to lose unwanted pounds and replace them with lean muscle mass. You'll create a workout regimen that renders fatigue a distant memory. 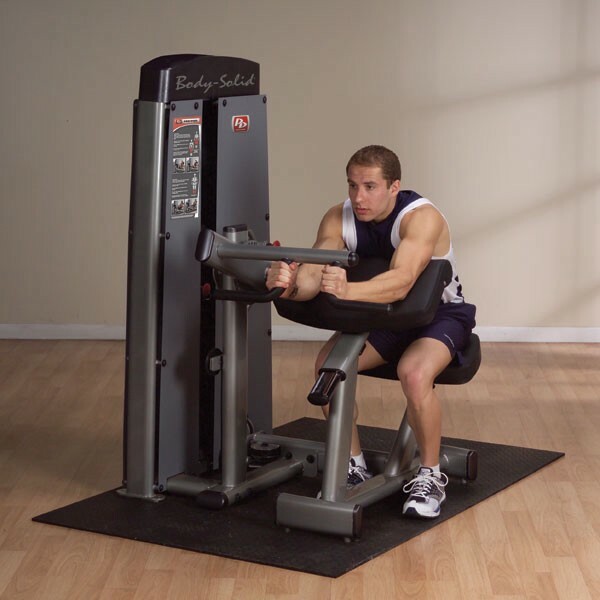 You'll increase your endurance and achieve results with each repetition.The Body-Solid Pro Dual Bicep/Tricep Machine is packed with the features you want at a price you can afford. Best of all, you'll achieve your goals through unrestricted freedom of movement and enjoy the results of superior engineering and design. The upper arm is made up of two primary muscle groups--the biceps and the triceps, and it is equally important to train both. To achieve optimal results from arm exercises, it is essential to perform movements consistently and correctly every time. 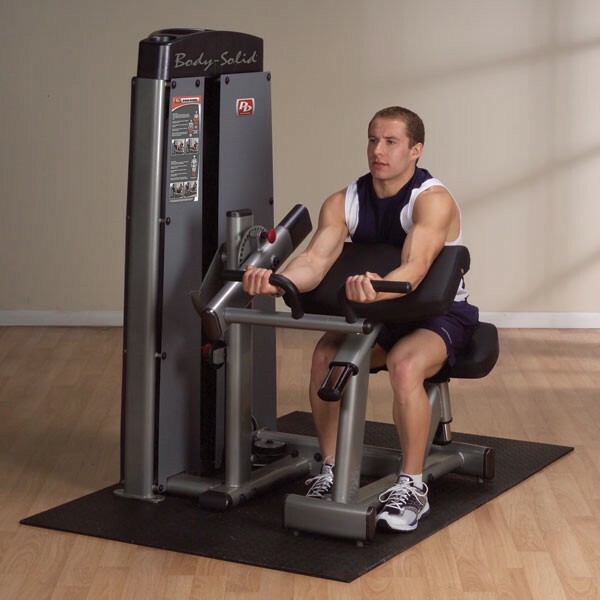 Body-Solid's Pro Dual Bicep/Tricep Machine provides a seamless change from bicep exercise to triceps exercise with dual grip handles. 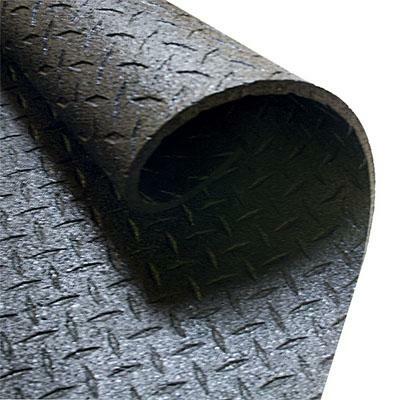 The adjustable seat and upper arm pad are designed to align the elbow with the rotational axis of the lifting arm. The machine's handle pivots to enhance user comfort. 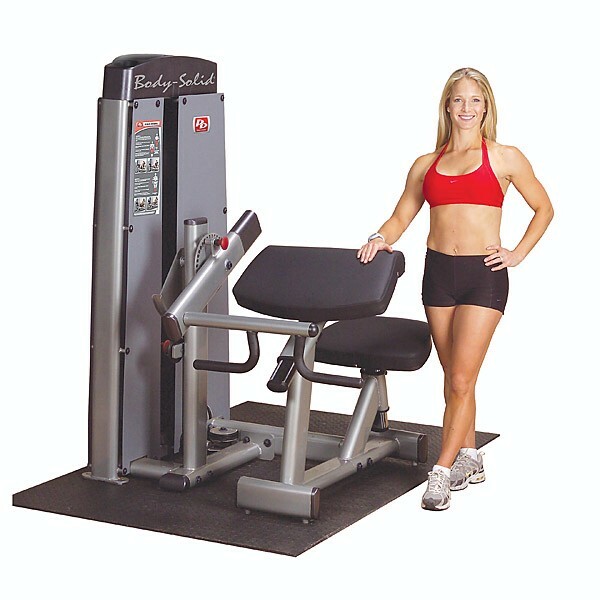 With gracefully curved frames constructed from sleek, power-coated tubing that exhibits a modern, design-forward aesthetic, the Body-Solid Pro Dual Bicep/Tricep Machine builds form into function and value into a superior modular strength training system. Call 1-800-875-9145 to chat with one of our fitness advisors with any questions you may have about the Body-Solid Pro Dual Bicep/Tricep DBTC-SF. 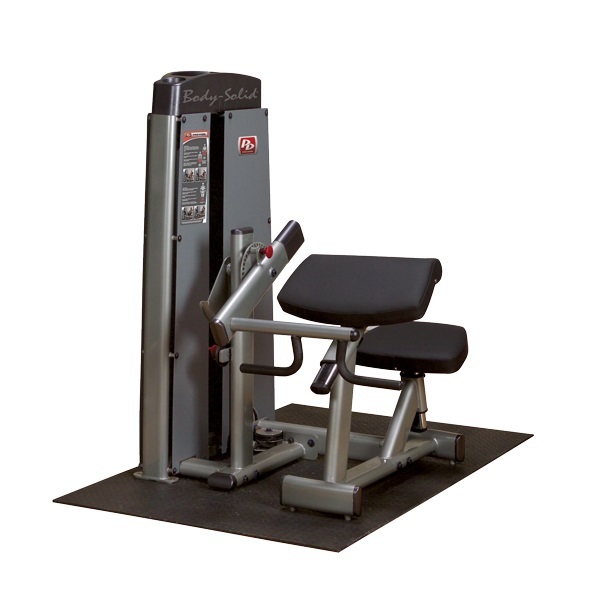 Order your Body-Solid Pro Dual Bicep/Tricep DBTC-SF from FitnessZone today! Why Buy Body Solid Products? Order your Body-Solid Pro Dual Bicep Tricep from FitnessZone.com today!